Vietnam, since long, has been synonymous with a bloody Cold-War era proxy battle between the North and South. Today though, it has a very distinct identity carved out of economic reforms. The reforms that are propelling it towards economic growth rivaling that of developed nations. This South-East Asian country has one of the highest global growth generators and its economic growth is among the top of the world. This would not have been possible without the active support and reliable management of Vietnamese Banks. In order to bring myriad banking strategists into a single platform, IDG organized the Vietnamese Retail Banking Forum (VRBF) 2015 at Gem Center, Ho Chi Minh City. CRMNEXT, the true digital CRM solution that counts TP Bank as its customers, was among the global participants. Diversity is the norm on the landscape of Vietnamese Banking Industry. It ranges from large state owned banks to medium and small privately held banks. Numerically, 48 Banks share assets worth approximately VND 7 trillion between them (source). The VRBF event was geared towards understanding the scope of the sector by identifying the key players and performance indicators. It also discussed the main issues, like the level of bad debts, impacting the industry today, as well as highlighting opportunities for future development. Opportunities that include harnessing the power of social media and card payment channels from the growing pool of affluent young population. During the discussions, the participants agreed that there is a need to regulated restrictions on lending along with greater transparency and accountability to mitigate risks. Also, to maintain financial integrity and economic growth momentum, there is a need for all banks to adopt new and sustainable business operations. For example, TP Bank has made rolling out Digital Banking a top priority in keeping with the changing times. With the help of digital new technology, both in terms of banking solutions and CRM, Vietnamese banks have a capable tool to beat the current global recession blues. 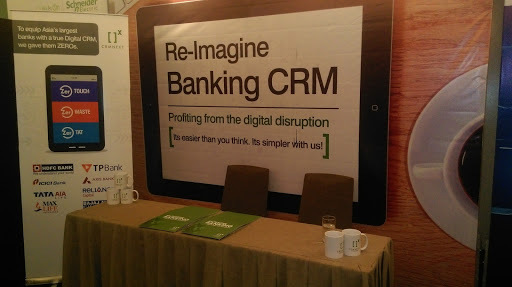 TP Bank of Vietnam is already experiencing the digital change with CRMNEXT. To others, we always say "Digital is easier than you think. It’s simpler with CRMNEXT."